This entry was posted in Uncategorized on December 10, 2014 by Don Dalton. 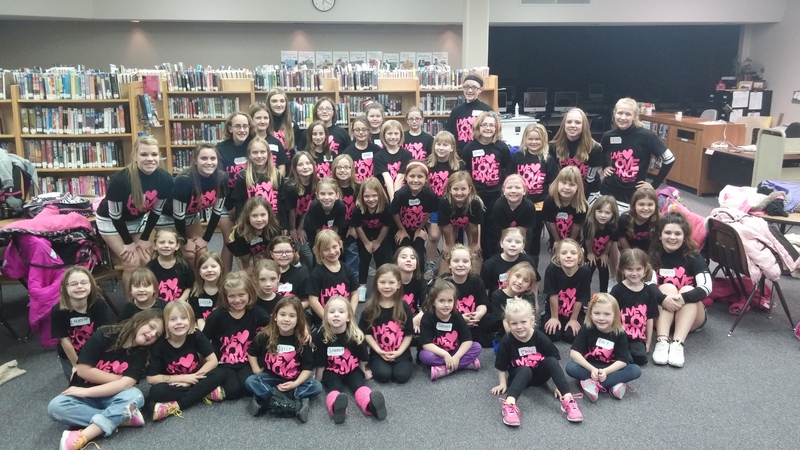 The Fort Calhoun Dance team held their dance camp on Friday, December, 5th. It was a success with 45 students participating. Dance team members, Kira Boyd, Emily Shannon, Mikayla Schmitt, Nicole Swanson, Hailey Greenwell, Lizzy Namuth, Taylor Thalman, Molly Shannon, were each placed in charge of a group of students. The theme for the camp was “Live, Love, Dance” and the girls danced in large and small groups to songs by Katy Perry, Madonna, Britney Spears, Taylor Swift, and Lady GaGa at halftime of the girl’s varsity game that evening. This entry was posted in Uncategorized on December 9, 2014 by Jennifer Gepson. Come out Saturday evening December 13th to support our Boy’s Basketball team and have some fun with Christmas in Calhoun too. The schedule is as follows. 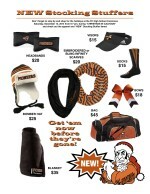 5 – 7 pm Booster Elves present Magic Moments @ Fort Calhoun High School with free elf hats and face painting (5-6pm only). 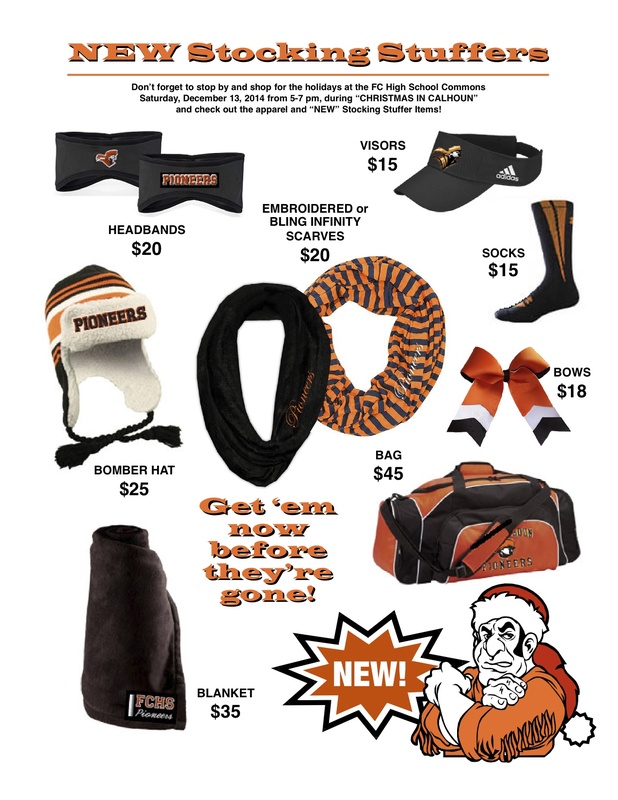 Booster club will also be selling Pioneer jewelry & stocking stuffers. 5 – 7 pm , Portraits by Jim Shields, $5 per background. 6 pm JV and Varsity Boys Basketball games begin. 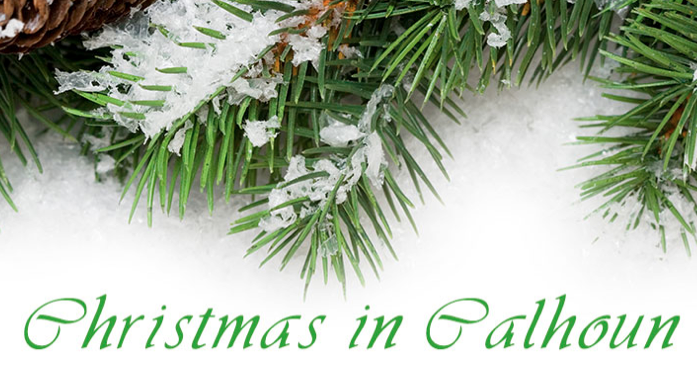 For more information regarding other Christmas in Calhoun events visit the Fort Calhoun website. This entry was posted in Uncategorized on December 4, 2014 by Jennifer Gepson.